12 April, 2018 – Ng Teng Fong Charitable Foundation will donate 10 million yuan to support the restoration of the Great Wall. It is hoped to encourage the participation in conservation works and the understanding of Chinese culture and history in the community. 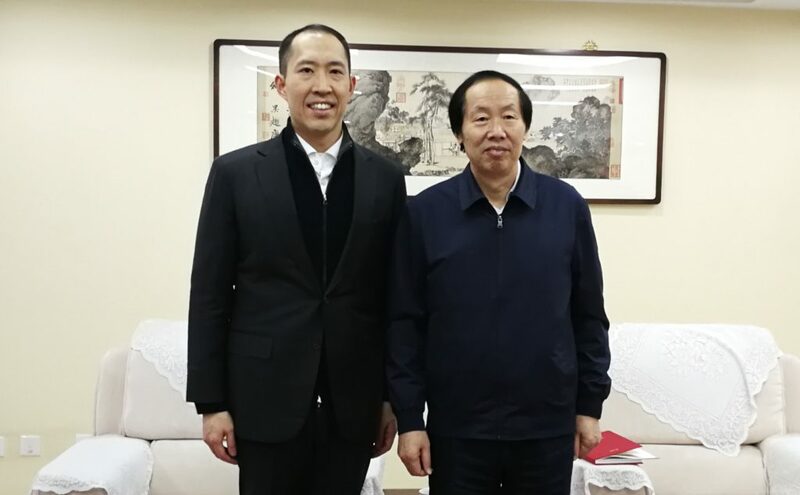 Mr Daryl Ng, Deputy Chairman of Sino Group, signed an agreement on behalf of Ng Teng Fong Charitable Foundation with China Foundation For Cultural Heritage Conservation to support the restoration of the Great Wall in Beijing’s Yanqing District. It is the second donation China Foundation For Cultural Heritage Conservation has received from the private sector so far. Mr Ng said, “The Great Wall is a national treasure of China and one of the Seven Wonders of the World. We have the responsibility to preserve the structure as it carries an outstanding international historic and cultural value. Heritage protection is one of Sino’s focuses in corporate social responsibility. Through this project we aim to help deepen public’s appreciation of culture and history, strengthen the community bonding and foster the sense of belonging to our motherland.” Mr Ng believes that the experience gained in restoring the Fullerton Hotel Singapore and Tai O Heritage Hotel in Hong Kong will add value to Sino’s commitment in restoring the Great Wall. Also the Vice Chairman of Hong Kong United Youth Association, Mr Ng hopes this effort will heighten the young people’s interest in the national heritage of China and their respect for patriotism. Ng Teng Fong Charitable Foundation was established in memory of the founder of Sino Group, Mr Ng Teng Fong. Beneficiaries include non-governmental organisations and universities. In the past years, the Ng Teng Fong Charitable Foundation has supported over 200 local non-governmental organisations and social enterprises. The Ng Teng Fong Charitable Foundation Limited and Sino Group’s Sino Land Company Limited have established the ‘Peking University Ng Teng Fong/Sino Education Fund’ and ‘Tsinghua University Ng Teng Fong/Sino Education Fund’ to recognise outstanding teachers and students, and to support a Chair Professor Group formed by international scholars. For more information about the Ng Teng Fong Charitable Foundation, please visit: https://www.sino.com/NTFCF.